While you’re out there emptying bank accounts to spread cheer next month, why not rack up some free flights and hotel nights in the meantime. This is the best holiday season in at least two years for points and miles perks, and several redesigned cards offer spending profiles much more favorable to convert holiday spend into free vacations. Here at Point Me To The Plane, we focus on long-haul luxury travel booked free using points and miles, and all of these cards are positioned to help get you to a dream destination in 2019. Note, the offers below are current as of November 23, 2018, though all are limited time offers, and many of them will change through the end of 2018. Capital One Venture Miles can now be transferred directly to Qantas Frequent Flyer, and 11 other airline programs, and redeemed for business and first class seats on long-haul flights. Capital One has turned the Venture Card into a top-tier travel card, just in time for the holidays. The Venture Rewards card has long been one of the best low-fee alternatives to points and miles transfer cards like the Sapphire Reserve and Amex Platinum Card. Alternative, no more. The revamped Capital One Venture Rewards Credit Card now facilitates transfers to 12 airline partners. While transfers are discounted by 25 percent, double points earning on all categories, and 10-points-per dollar earning on Hotels.com purchases make the Venture a competitive player. While Venture does not come with frequent traveler perks like Priority Pass Lounge Access, it does include complimentary TSA PreCheck or Global Entry enrollment. Venture also comes with travel benefits like car rental coverage and trip disruption insurance. The Bonus: To celebrate it’s card overhaul, Capital One is giving new Venture cardholders 75,000 bonus miles after spending $5,000 in the first three months. Perhaps the most attractive advantage this card has over its travel card brethren is the fee: $95, and its waived the first year. Even Better Deal: The small business companion to the Venture Rewards card, the Spark Miles For Business Card, is offering incredible introductory bonuses of up to 200,000 Spark miles after business owners or self employed workers put $50,000 on the card in the first six months. That bonus is graduated, however, so bonus miles start rolling in after $5,000 in the first three months. The Ink Business Preferred is a business card, but that doesn’t mean you have to own a shop or pay employees to qualify. Anyone with self-employment income, whether it be through a consulting business, a side-gig, or even contract work like Uber or Lyft, can apply. Business cards are a great option for those who have maxed out bonus options on Chase’s consumer cards, as the 5/24 rule that limits introductory bonuses for other Chase cards does not include Ink products. The Business Preferred card has come with a very high introductory bonus of 80,000 Chase Ultimate Rewards points. This is the second-highest Ultimate Rewards sign-up bonus we’ve ever seen, after the initial debut of the Chase Sapphire Reserve card. At $95 per year, the Ink Business Preferred offers many of the same perks as the $450-per-year Sapphire Reserve, including triple points earning on a broad range of travel spending, including all airline purchases, hotels, ground transportation and even public transit. The card also has a triple points category for a number of business-related spending, including shipping, internet services and business services. This post previously incorrectly stated that Ink Preferred Cardholders earned bonus points on dining. This has been corrected to indicate that the card earns bonus points on travel, not dining. The current introductory bonus on the United MileagePlus Explorer Card is sufficient to score a seat in United’s international Polaris Business Class. Through the end of the year, United is matching its most generous offer ever on its staple MileagePlus Explorer Card – 65,000 introductory bonus miles. The first 40,000 miles come after new cardholders spend $3,000 in the first three months. Another 25,000 bonus miles come after new cardholders surpass $10,000 in the first six months. The Explorer Card is perennially one of my favorite airline card options. In addition to double points on United, the card earns double points on dining and comes with four United Club passes, a benefit unmatched by American, Alaska and Delta. A reasonable $95-per-year fee is waived the first year. American Express overhauled one of its longest running staples this fall. The Gold Card, which is actually a charge card, not a credit card, includes new bonus categories that are top-of-class. Gold Card holders now net four valuable Membership Rewards Points per dollar spent at restaurants and grocery stores, and triple points on airfare purchased through Amex, or with your airline of choice. In addition to travel basics like collision coverage, roadside assistance, lost baggage and trip protection, The Gold Card also comes with perks exclusive to Amex, like access to Global Assist, the travel conceirge service and Amex Travel. The current signup bonus of 35,000 is not the highest we’ve seen on a Gold Card. At a $2,000 spend minimum, that’s not at all bad. A $250 annual fee (See Rates & Fees) is reasonable considering benefits that include a $100 airline fee credit and $120 annual dining credit. American Express Business Platinum cardholders enjoy complimentary Centurion Lounge access at airports across the U.S.
Like the venerable Platinum Card, the Business Platinum Card comes with many of American Express’ top-of-the-line services, including the Platinum Conceirge, Amex Centurion Lounges and Delta SkyClub access. The business card also includes some superpowers that its regular counterpart does not — complimentary Boingo and Gogo in-flight wi-fi access, for instance. Like Chase’s Ink business cards, Amex business cards are geared to small business owners and entrepreneurs, meaning those with self-employment income, home businesses or side gigs are eligible. With introductory bonuses up to 75,000 points after spending $25,000 in the first year, the Amex Business Platinum is one of the most lucrative options out there this holiday season. British Airways Avios are a good value when redeemed for American Airlines business class and first class. Unlike BA, American doesn’t add surcharge fares to Avios awards. British Airways Visa Signature Card Avios can be a great way to travel around the world. British Airways continues to offer the highest introductory bonus of any airline credit card — 100,000 Avios — on its Signature Visa card. It will take some spend, $20,000 in the first year to be exact, to score the full 100,000 bonus, but there’s a graduated 50,000-point bonus after the first $3,000 in spending during the first three months. That first bonus alone makes this card attractive. Another 25,000 Avios comes after new cardholders put $10,000 on the card in the first year, and the final 25,000 Avios come at the $20,000 mark. British Airways doesn’t charge for bags on its U.S. flights, so there isn’t as much value to be had in the way of bag fee waivers, but I love the versatility of the Avios currency, which can be transferred directly to Iberia Plus or Aer Lingus AerClub. While British Airways charges a boatload in fees on business and first class awards redeemed on BA flights, several of the airline’s international partners, including American Airlines, don’t impose any surcharge fares. Southwest’s new Rapid Rewards Priority card can be used for complimentary upgraded boarding on a limited number of flights. All three of Southwest’s unique credit card products currently offer 60,000 bonus Rapid Rewards points after new cardholders spend $3,000 in three months. Be mindful that anyone who has held any of the Southwest cards is not eligible for the intro bonus, but anyone who travels and doesn’t have a Rapid Rewards card should think of getting one, for a few reasons. First, Rapid Rewards points are among the easiest points currencies to use. They can be redeemed on any Southwest Flight that tickets are available on. Unlike major airlines, Rapid Rewards awards are based on fare price. When Southwest fares are low, cross-country and even international flights can be had for fewer than 10,000 points one-way. Second, the Premier and Priority cards come with built-in status perks. Big spenders can earn A-List elite status just by spending enough. Hit 100,000 points on any of the three cards in a year (intro bonuses count!) 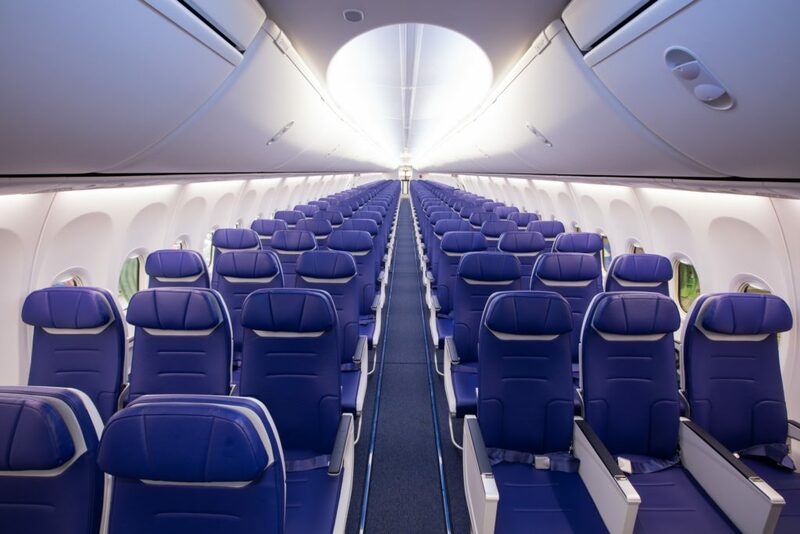 and enjoy Southwest’s venerable Companion Pass, a free pass to bring someone with you on any Southwest flight and pay just your fare plus taxes. The Ink Business Preferred earns 1 point for dinning not 3 points. When does the Chase Ink Preferred get 3x points on dining? Since when does the Chase Ink Preferred get 3x points on dining?